Some parts of running an Amazon business are more fun than others. Sourcing is more fun than packing and shipping. Yes, I feel it too! I try to keep to the motto of shop ship shop ship. Raising your prices is more fun than lowering them when LTSF roll around. You probably already know that things don’t always go according to plan once your inventory arrives at an Amazon warehouse. Items get lost, damaged, and returned all the time. And some items just never make it to the Fulfillment Center to begin with. Luckily, there are systems in place that enable Amazon to reimburse you for certain types of missing inventory. 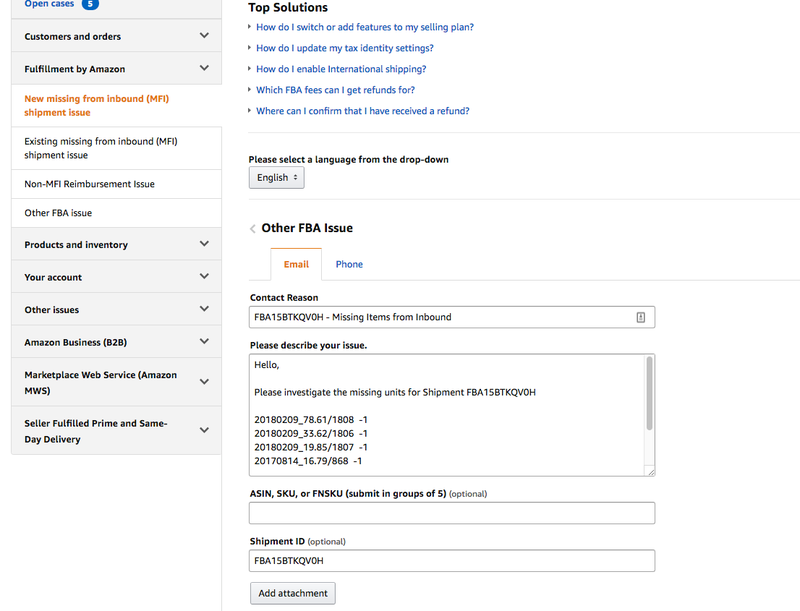 For years, I’ve been using a series of Amazon reports to track and collect my missing reimbursements. This method is free and effective but can be a little time-consuming. I generally try to do it in slower seasons instead of messing with it during Q4. But even though I have a pretty good handle on my reimbursements, I was really excited when I heard about a new reimbursement software called Seller Locker. 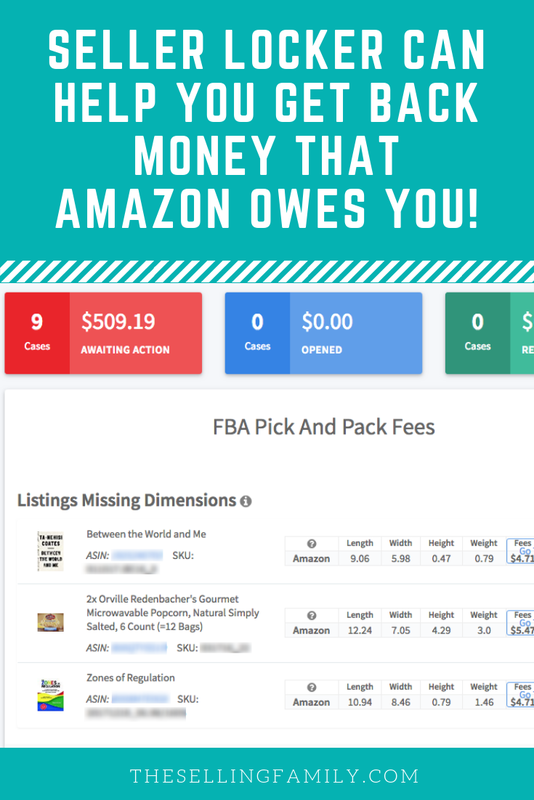 Seller Locker handles all of your Amazon reimbursements for you so that you can focus on other parts of your business. I recently had a chance to try it out myself and I wanted to share my product review with you here. Seller Locker syncs directly with your Amazon account (after you grant them access) so that they can instantly track your inventory. It's web-based software so you can access it from any device. If they see any issues with your inventory, they will check to see if you’ve already been reimbursed by Amazon. If you haven’t, then they let you know that it’s time to take action and get that reimbursement! Signing up for Seller Locker took me just a few minutes. You don't need to do much before Seller Locker is up and running. You’ll be prompted to enter your credit card information, but you will not be charged at this time (more on that later!). Because Seller Locker uses your Amazon MWS credentials, that does mean that you need to have a Professional selling account with Amazon. Seller Locker will not work for sellers on the Individual Selling Plan. 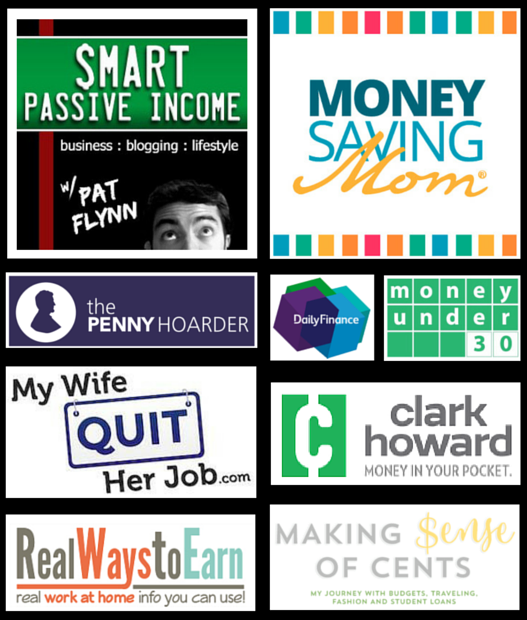 Related Post: Should You Use a Professional or Individual Amazon Seller Account? How Much Does Seller Locker Cost? While many web-based software services for Amazon bill as a monthly subscription, Seller Locker is a little different. Basically, they don’t get paid until you do! 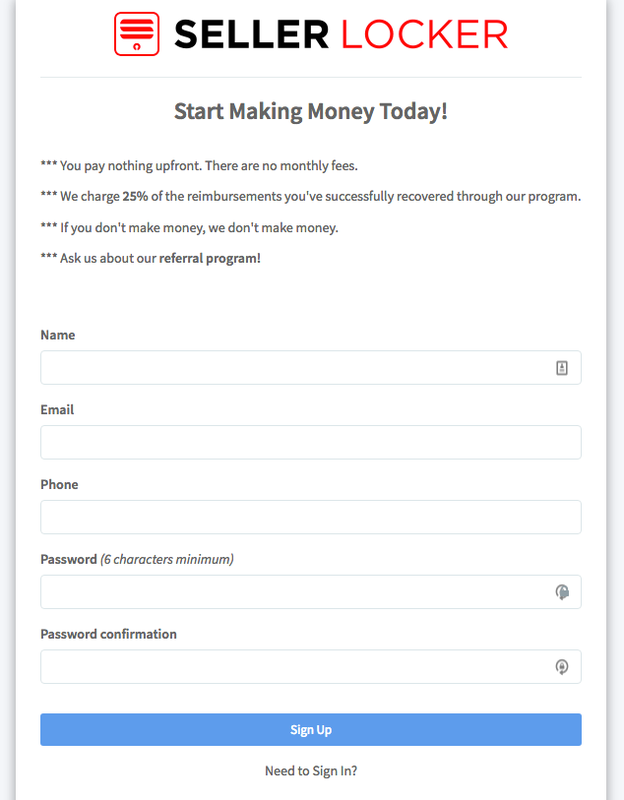 Seller Locker will charge you 25% of any successful reimbursements that come through their software. At the end of each month, they will send you an invoice of all of the reimbursements they show for your account. You’ll have a chance to review them at that time. If everything looks good, they’ll charge your credit card for 25% of the total. So, if Amazon pays you $250 in November for reimbursements found via Seller Locker, you’ll be charged $62.50. The other 75% is your money to keep! I’ve got some screenshots of Seller Locker in action, but before we get to that, I want to recap who might benefit from using this software. When I was first looking around inside my Seller Locker account, it seemed like the software was geared more towards Private Label sellers. And I’m sure that they could help you find a LOT of missing reimbursement money if you are a big Private Label seller. But I mostly do Retail Arbitrage and the software was still a perfect fit for my account. In fact, Seller Locker looks for the exact same kinds of reimbursements that I look for manually (just in less time!). 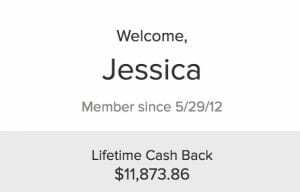 Alright, now I want to show you just how easy it is to use Seller Locker (and show you how fast I got my first reimbursement back!). Signing up was really easy. After I created my account, I just walked through the rest of the steps for syncing Seller Locker with my Amazon account. If you've ever entered MWS information for another Amazon tool like repricing software, online sourcing tools, or Inventory Lab, it's the same process. If you've never done it before, Seller Locker provides step-by-step instructions. After following all the set-up steps, I waited about a day. I figured they might need some time for the information to sync. When I logged in the next morning, I saw cases waiting for me in Seller Locker! 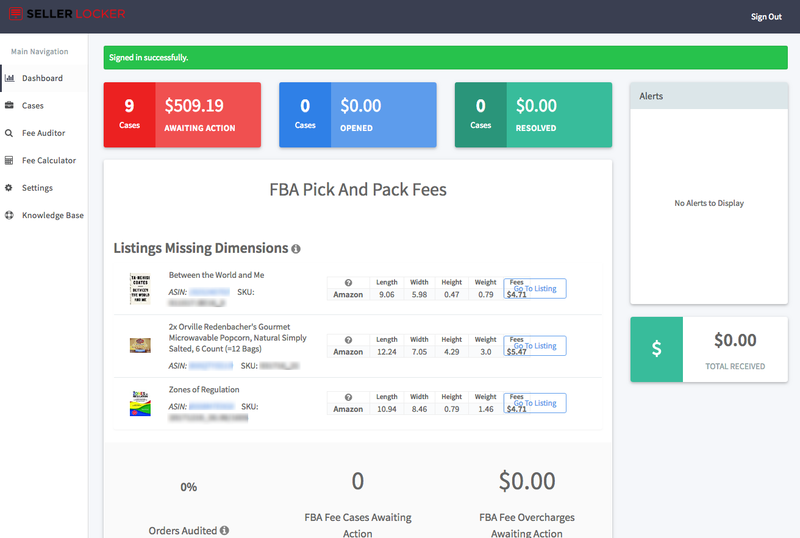 My primary goal with Seller Locker is to track missing reimbursements, so I went straight to the 9 cases marked “Awaiting Action” in the red box. Seller Locker offers an optional Chrome Extension called “Briefcase”. At first, I wasn't sure if I needed it, but now that I've seen it in action, I really recommend installing it. The Chrome extension makes the process of getting reimbursed even easier. Seller Locker uses “cases” just like Amazon. First you create a case within Seller Locker, and then you copy and paste that information into a “Contact Us” form in Seller Central. It's up to you to fill out the “Contact Us” request and put in all the info. BUT, if you have the Chrome extension installed, then this is all populated for you behind the scenes. That means that you can go from opening a case in Seller Locker to pressing submit on a case in Seller Central in about a minute. Seller Locker will show you how to find and install the extension, but here's how it looks in the Chrome store just so you know. Alright, you’ve checked out the software and hopefully installed the Chrome extension so you’re ready to get some money back! 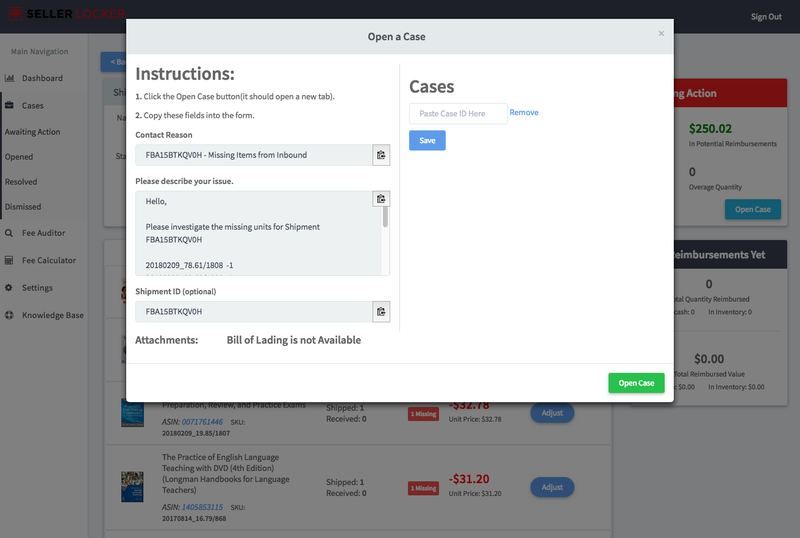 I decided to first tackle the Awaiting Action case with the highest reimbursement potential. I opened a case inside of Seller Locker and the software immediately filled out all the details. Everything you see in the pop-up window screenshot below was filled in by Seller Locker. Then, I hit the Open Case button which took me directly to Amazon Seller Central. Because I have the Chrome Extension, everything in this next screenshot was automatically done for me. If I didn't have the Briefcase extension, I would need to copy/paste the information that they provided. All I had to do at this point was review the information and enter my email address for a response. I did also check the box to mark the case “Urgent”. After this first case, I decided to go ahead and open a few more cases. I ended up creating a total of three cases in Seller Locker and Seller Central: two were for Inbound Shipment issues and the other was for Damaged Inventory. This is the part that went a lot faster than expected! Here’s a screenshot of my Gmail inbox the morning I first used Seller Locker. The 3 emails below the purple line are when I submitted the cases in Seller Central. (You'll see that I created and submitted 3 cases in just 4 minutes!). The 3 emails above the line are when I actually received my response from an Amazon Seller Support rep on each individual case. All three cases were resolved in just over 20 minutes! If you know anything about opening support cases with Amazon, you know how fast that is! I suspect this is because Seller Locker created the right type of case within Seller Central (another good reason to use the Chrome extension). This means the case got routed to the right specialist faster. Now, I didn’t get quite as much money as Seller Locker had estimated. That was mostly because Amazon had incorrectly reconciled one of my Inbound Shipping cases and failed to notate it correctly on their end. However, I did still get about $100 right away from the other two cases. Not bad for 4 minutes of active work on my part!! Have you ever sent an item into Amazon (or scanned it) and wondered why in the world the fees were so high for something so small? This can happen when the seller who created a listing incorrectly inputs the size of the item. Maybe they were just guessing, or maybe they were trying to get higher shipping credits? And it could even be because the Amazon warehouse measured the item incorrectly. Whatever the reason, these errors can cost us big time. If you are selling the same product over and over this can really get you a ton of money back. It takes some work on your part, but will be worth it. 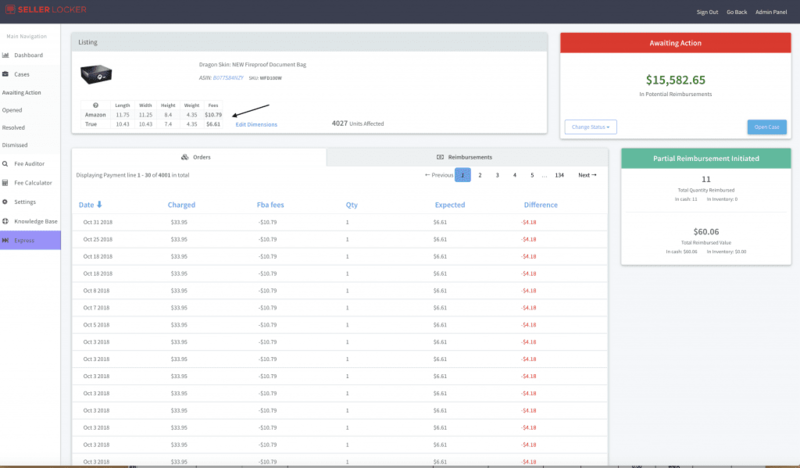 Seller Locker tracks recent fee changes and displays them for you right on the dashboard so you can quickly open up a case before it becomes a costly mistake. This makes it easy to track from here on out. Notice a size discrepancy? You can go back in time making claims on products going back 18 months. If you upload your dimensions to the tool it will begin auditing your orders and with a click of a button submit a claim with an order sheet attached. Imagine making money on last years orders the opportunity is huge. Here is an example of an item that had the wrong dimensions causing the seller to be overcharged $4.18 every time the item sold. This may not seem like much when you sell just one or two of an item. But, when you are selling multiples of the same item this can add up really quickly. Private Label or Wholesale seller? This is a feature you can not live without! The above example had over 4,000 units affected, meaning they could get back over $15,000 from these claims. My main takeaway from using Seller Locker is that it’s very fast and easy. The process of getting reimbursed was a lot faster than I was expecting! The software is easy to use and they have some tutorial and explainer videos in their Support area if you need any help. I think that every seller should manage their reimbursements. It’s your money, so there’s no reason to let Amazon have it! You can do it yourself if you have the time (note: I teach a short course on how to DIY Amazon reimbursements). But if you’re looking for a totally painless way to get reimbursed, I do recommend using Seller Locker. Remember, they don’t get paid until you do! So you really have nothing to lose with trying them out. To let them work their magic on your account, go ahead and sign up here. So, are you good about staying on top of your Amazon reimbursements? Did you even know that you could ask to be reimbursed for your inventory? Share your reimbursement success stories in the comments! You didn’t mention it in this great post but will Seller Locker find Customer Return Items that were never sent back to Amazon?